I’ve really enjoyed the past year and a half sharing my experiences as a busy mom in the kitchen with all of you. It’s exciting to be able to share with others ways to feed their families conveniently and affordably. Plus, my personal experiences with cooking and everyday family life gives me an opportunity to have a business which allows me to teach and present live cooking demos and workshops, giving others the opportunity to have a hands-on experience in the kitchen with high-quality kitchen products and while learning new recipes in a fun, light-hearted, and informative manner. When I was approached with an opportunity to start my own Direct Sales business doing something I love, which of course is cooking, there was no question in my mind that this was the right opportunity for me. After doing a little research about my company, it’s benefits, new opportunities and realizing this company shared the same strong beliefs on valuable, quality family time and how family meal times should always be cherished, I joined. Many people become involved with a Direct Sales business hoping to replace a dead-end job; others just want a little extra income and to have the opportunity to spend time with their family. How much money can you make with a Direct Sales business of your own? First of all, everyone knows that no one can make any promises regarding income. How much you make is a complete direct result of how much time and effort you put into your business. Be committed to your business. Be flexible. Always seek out new ways to move your buisiness forward. Wondering what the benefits of Direct Sales are? Be Your Own Boss/In Control Of My Own Income-That’s right! I’m my own boss and in this tough economy, I never have to worry about getting laid off or when my next bill gets paid. I’m in complete control and can work the hours I want to work. I chose to do my Direct Sales business and still continue with my full-time career in the medical field. I never have to worry about being late for my son’s baseball game or my daughter’s school recital. I can schedule my hours around my family’s schedule. Not my family around my work schedule. I never have to miss that important quality family time. Being your own boss gives you control over your schedule and income. My business has definitely made my family’s life more comfortable then before and socially, it has been a big contribution to my family’s and my life being that we had moved to a whole new area. Help Make Busy Lives Easier:Balancing The Busy World Of Work And Family-I’ve developed such a close relationship with my customers. For me, the extra income is the icing on the cake. Being able to connect and share with others budget-friendly recipes they can re-create for their families while they are having fun, in a relaxing atmosphere and enjoying friends is very rewarding. It’s a great feeling when my customers call or e-mail me thanking me for introducing them to a new cutlery product or about a quick recipe they were able to make for their family. 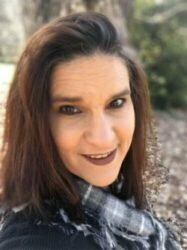 Make New Friends and Build Relationships-Along my journey as an Independent Kitchen Consultant, I’ve made new, real friends, established lasting relationships with fellow colleagues and have had the opportunity to share with others how fun and exciting it is to have a business of their own. The most rewarding feeling is being able to help someone start their own successful business. Meet and Network With Others Across The Country-Every July, I have the opportunity to travel to Chicago to meet and connect with others from across the country, learning new ways to share my business, new recipe techniques and see what exciting and new kitchen tools I’ll be able to use and share with my customers. The people I meet are just like you and I. They all started their business for reasons of their own. It’s a phenomenal experience! I left the Pampered Chef as a Independent Consultant in May of 2011. Noel’s Kitchen Tips keeps me extremely busy and provides me a wonderful opportunity to continue to share family meal times, kitchen tips and recipes not just in the home but with the online community as well.